In yesterday's Chicago Tribune, Dawn Tice Turner wrote a story titled "Interactive maps could combat Chicago violence" Click here to go to the Tribune web site. 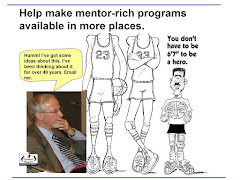 Click here to see version of the story I've posted on the Tutor/Mentor Institute, LLC web site. Right now if someone tries to use the Chicago Tutor/Mentor Program Locator, they will get error messages, due to a technology problem I've not been able to fix. I don't have the money to hire anyone to work on this, which has been a significant problem for the past few years. If it was working, you'd be able to zoom into different sections, and create map stories, as demonstrated in the presentation below. I was able to build this using a $50,000 anonymous donation received in late 2007. 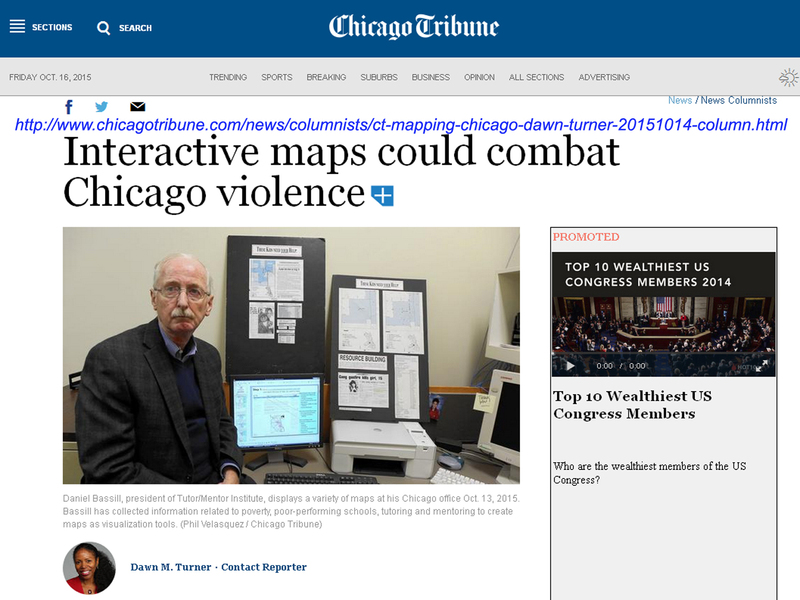 That money enabled me to hire Mike Trakan on a part time basis, who from January 2008 till mid 2010, rebuilt our desktop map-making capacity in Chicago and was able to create a wide range of maps using donated ESRI GIS software. Using part of the money I was also able to hire a consultant and team of developers from India, who built the Program Locator during mid 2008 through spring of 2009, which is when we ran out of money for continued development. I've been able to use the program locator to create map stories until August 2015 when a change in hosting arrangements for the site led to the error messages. Below is an example of the type of presentation that can be made using the Program Locator. Elected leaders could be creating maps of their districts, showing where tutor/mentor programs are needed, what programs exist, who could be helping, etc. 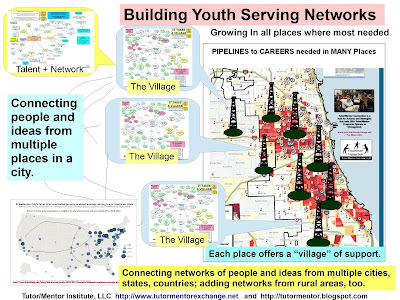 They could be using these map-stories on their blogs, in email, and in inviting community members together to help build and sustain high quality youth serving organizations that provide hope and opportunity and reduce reasons to be part of gangs and a culture of violence. An anonymous donor provided the funds to build this. I hope another donor, or business partner/investor, or team of volunteers, will step forward and help me bring this back to life and add needed upgrades. If you want to make a contribution (not tax deductible) click here and use PayPal to send support. If you want to borrow ideas from me to help you build your own platform and design it to accomplish the same goals as I've piloted for the Tutor/Mentor Connection's Program Locator, I'd be happy to be a consultant to you and your efforts. I think this needs to be a service in every city, and that it can apply to any type of service that is needed in many parts of a city and is provided by many different organizations. Contact me on Twitter, Facebook or LinkedIN.